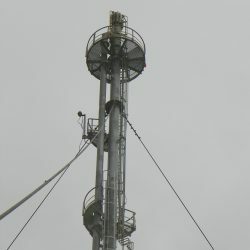 This type of flare utilizes the a steam injection to be mixed with gas at the flare tip in order to reduce smoke emission and radiation levels. Steam in high temperature will convert incomplete gas product such as CO to CO2. For cold countries, steam-assisted type is suitable for freeezing protection. Heavy hydrocarbon has great tendency to produce smoke because unburnt hydrocarbon or gas particles. In principle of stoichiometric combustion of relief can be achieved by installing blowers to provide excess air at the flare tip. This excess air is required to create a complete combustion and smokeless flaring. 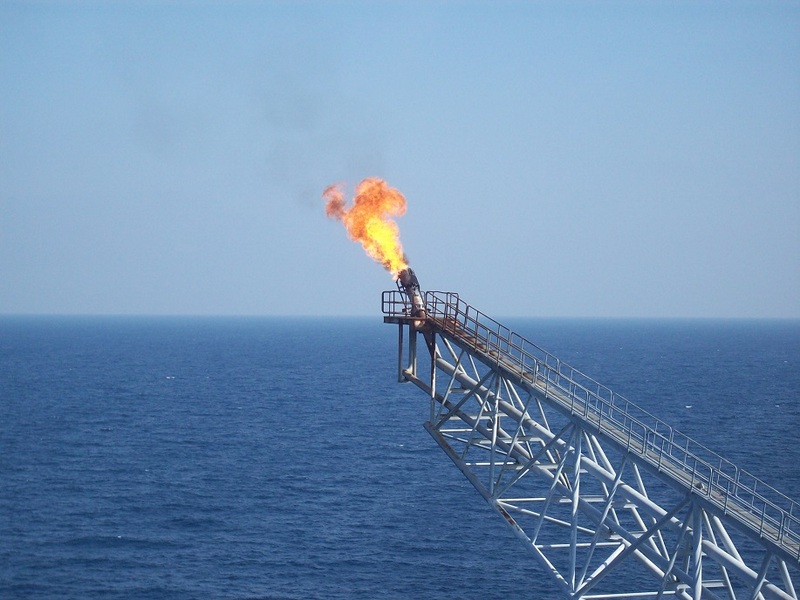 When the gas has good composition such as many light hydrocarbon content and high LHV, the application fo this flare type will be the main consideration after conducting the engineering simulation and calculation. 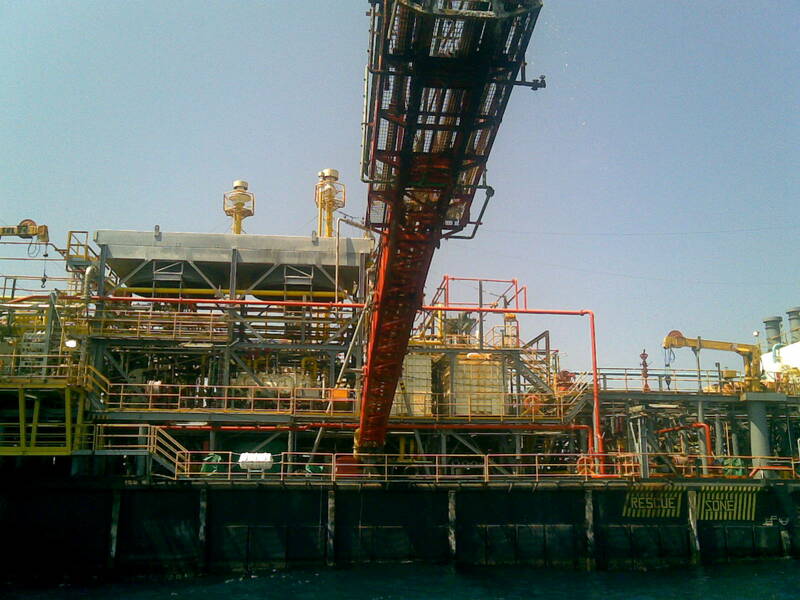 it has lower investment cost and maintenance cost than other assisted-flare. In one compact design, two types of gases which are low pressure gas and high pressure gas are burnt in a single flare tip. Designed with integrated turbulence swirl plates, it improves the mixing between high pressure gas and low pressure gas with surrounding air to create a turbulence effect inside the flame. Final goal in this process is complete combustion with smokeless flame. 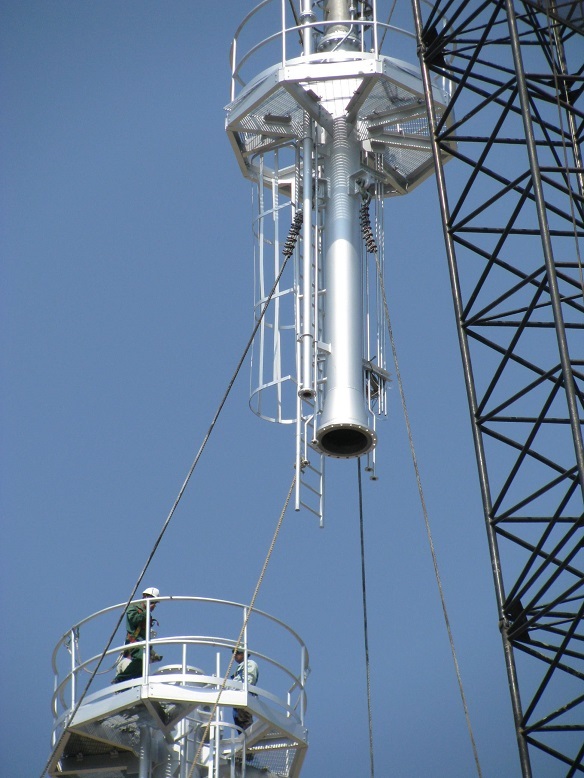 Any type of elevated flare can be applicable for offshore facilities. It considers the material of flare tip from high resistant of sour condition (corrosivity) and weather condition. 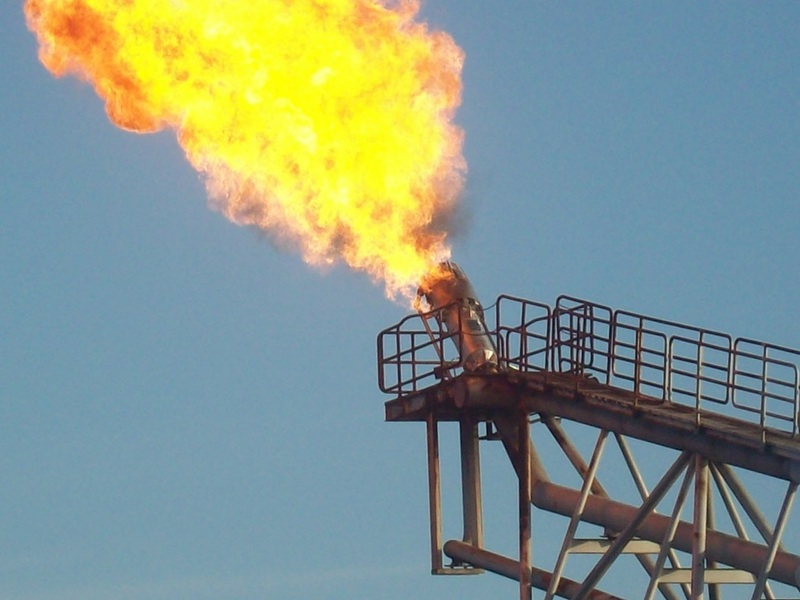 A pit flare is installed only for onshore application and generally intermittent operation. It is generally used to burn gas with some liquid content. Enclosed ground flare hide its flame inside the enclosed wall which is lined with ceramic fibre refactory to greatly reduce the high temperature burning, noise and luminosity. Very suitable for facility near residential or local enviromental regulations do not permit to have a visible flame or when there is no adequate space to install another type of flare. Designed with several array of small pipe flare tip, installed vertically, and having a height of about 1.5 meters, it provides more efficient combustion through improved air entrainment and reduce flame length. The result is improved combustion with lower smoke emission and radiation levels than a comparable large single tip. Some gases contains composition which has low lower heating value (LHV), affects the gas is difficult to be burnt as minimum lower heating value of gas should be 200 Btu/scf. To increase the LHV, a gas injection into the flame through manifold or jets sprayer is required. For high pressure gas, its kinetic energy can be used to entrain additional air by piping it separately to the flare tip. 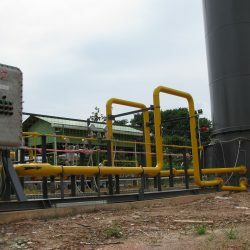 A portable flare is normally used for temporary flaring, for instance well test burner. This flare can be mobilized from one area to others. Portable flare is consist of Stack and ignition system that complete with battery and LPG bottles that mounted on a trailer. This stack can be self-supporting or guyed wire. 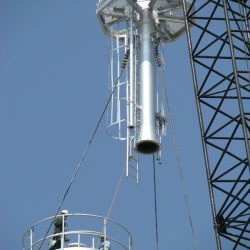 This vent is designed same with flare design type, radiation and noise shall be considered in this vent stack design, but vent stack is not completed with ignition system. The waste gas is only vented without flaring. Some safety devices accessories are usually included for vent system such as Flame arrestor, CO2 Snuffing system and spray system with deluge valve. Kotaminyak can supply Vent Stack only without any accessories and Vent stack package complete with it’s safety devices. Enclosed flare conceals fire on the enclosed wall which is lined up with refractory, thus it has more benefit than open flare. What’s So Special about Thermal Oxidizer?